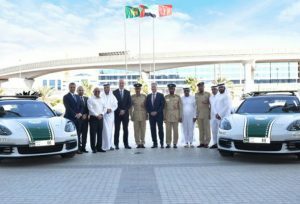 Welcome Porsche Panamera Turbo 4S to the Dubai Police Fleet! 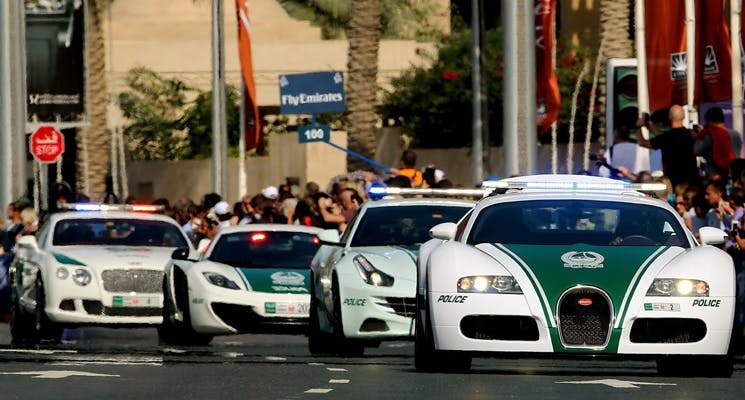 Everyone knows that Dubai police already has an impressive line up of cars. From Electric SUVs to an exciting array of supercars, the fleet is giving some serious competition to even the best new and used cars for sale in Dubai! And now the latest addition in the line-up is the new Porsche Panamera 4S Sport Turismo. The vehicle features a bi-turbo direct 2.9-litre V-6 engine that can eke out a horsepower of 440. The car needs about 4.2 seconds to reach 100 km/h and can reach top speeds of 289 km/h. He also went on to say that the models are chosen on account of a balance between sporty and performance and these attributes make a great police vehicle as well. Dubai police already has a spectacular assembly of supercars. These include; Mclaren MP4, Nissan GTR Lamborghini Aventador, Aston Martin One, Mercedes-Benz SLS, Audi R8, Bentley Continental GT, Ferrari FF. Not just that, but they also broke the Gunniess World Record for owning the fastest car in the world: the astounding Bugatti Veyron! Have you spotted these cars yet? We would love to! If you are looking for a pre-inspected and quality assured Dubai used cars for sale, then CarSwitch.com is the place to go. Happy shopping! If you believe you can outrun these guys, think again! Dubai Police now officially owns the. Car Fuel Prices Going up in the UAE…Again! Last month, when the car fuel prices went down we anticipated that they will continue to. Have you been a good car driver in Dubai, UAE? Have you been abiding by the. In the world of cars, Rolls-Royce is a name synonymous with luxury. The British automaker swept.